However, we perceive something that cannot be perceived despite our subjective, individual reality. There is actually a certain range that we don’t perceive even in our subjective perception, but we understand that we cannot perceive it. We have no idea what else can exist except for that. It is because we cannot rise above our mind and know something that we have never felt. We can feel it only if we change our senses. But even if we have new senses, who can guarantee that we will perceive an objective picture? After all, it is also depicted only in our feelings. 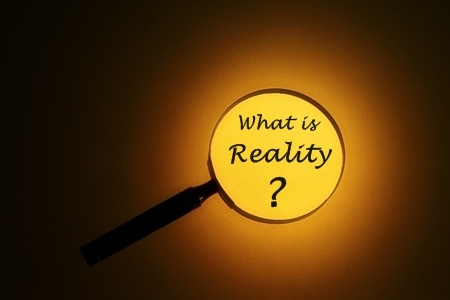 An objective perception of reality can only be attained when we exit our senses. We don’t need to change them, but simply to rise above them to something that is absolute. In order to do that, we need a special science and this opportunity comes only from the wisdom of Kabbalah. Tuesday, 1 December 2015, we’ll be holding a free public preliminary live Q&A session, titled “What Is the Meaning of Life, the Universe and Everything! ?” with you to celebrate the upcoming course. We invite you to post just one question that’s itching away at you, and get it answered at the live event.